I am amazed by the success that we have in our class. We have Blue Angels, Navy SEAL’s, brewers, masters, mates and pilots, the other kind of pilots, chief engineers, entrepreneurs, inventors, etc. etc. etc. Well add a new item to that list, we will soon have Game Show contestant. Our own John Downing will be matching wits with his arch nemesis Mr. Pat Sajak on April 15th. Check your local listings for time and channel. Unrelated video of John discussing the implications of too much Delano food on tourist duck boats in Pittsburgh. Our own Adam La Reau recently gave a guest lecture at Kings Point as part of the Lanier Distinguished Speaker Series. 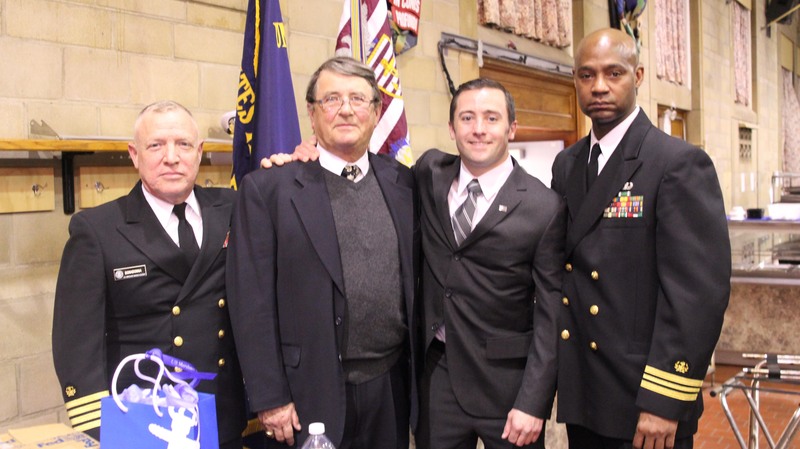 Adam gave an inspirational speech on leadership from his experiences at the Academy and his service as a Navy SEAL. following the speech he was presented with the Academies Light of Leadership Award. Read more at the Academy’s website. As most of you may have heard the Alumni Association and Foundation was unsuccessful in blocking the eviction attempt. An email notice and posting on their website giving all the updates was sent today. Check out the link below for more details. With all the drama surrounding the eviction of the Alumni Association and Foundation being evicted from the campus of the Academy, we wanted to do a recap post for everyone to follow what’s been happening. We’ll try to keep this updated as things develop, but as of last Thursday May 9th the AAF is scheduled to be removed from campus ASAP. There was to be a hearing on Friday the 10th, but we have not yet seen the outcome. I attended a meeting of my local Alumni Chapter (Central New Jersey) with the Superintendent on Thursday night, and while Mike Gillespie and I had a nice dinner in his company at the same table, we didn’t get much information out of him other than updates on the state of the Academy infrastructure and how they are handling sequestration, (Murphy hall renovations are to be completed soon, Cleveland Hall is next and the final phase of the barracks rehab project, Mallory Pier is scheduled to be completed by next April, The New Kings Pointer is delayed at the shipyard because the shipyard destroyed a line shaft bearing and sequestration cuts, MARAD found a million dollars to bolster payroll so no teachers had to be furloughed). The superintendent during the Q&A session with the attendees refused to answer questions about the dispute with the AAF. I had hoped for some candid discussion on the issues, and was disappointed that my time was wasted. My personal view is that the current administration in Wiley Hall is not interested in working with the AAF. Your opinion may differ. I initially avoided an emotional response to contact my representatives but after seeing the back and forth I have been in contact with Congressman Lance’s office in NJ 7th district and would encourage others to contact their representatives. The AAF can do its best work on campus, in a situation where they pay minimal rent so our donations to do the maximum good for the Midshipmen. My personal opinion aside I intended this post as a recap of all information that has been distributed the past couple of weeks. As things continue to develop I will try and keep you all posted. I appologize for the delay, but I have some news to report on our homecoming festivities. Paypal links for the extra shirts will be posted as soon as I get final revised pricing on some of the items. Rooms in the hotel block are still available, you have until the 28th of August to book before the rooms are released to other guests. All information will be posted to the website, facebook and twitter, so follow us over at those websites for the latest and greatest information. If anyone is interested in organizing a Friday night party for the class in the city, or somewhere on the Island, I am still looking for a volunteer, I will be on campus Friday night and unable to organize or attend. If someone is willing to put in the effort to get this done, I will be happy to pass the information around, please let me know if you are interested. Finally I will need payment fairly soon, we have to confirm all the catering the week before, and I will need cash or certified check to pay them, and for the tent. T-shirt orders will need to be finalized 3 weeks prior to the event, so we don’t have much time left. Sorry again for the delays on this, we’ve been working hard to find the most cost effective ideas, I hope everyone has a great time. I am looking forward to seeing everyone in September. PS I’ll likely be sending a few more of these emails as reminders over the coming weeks, as well as any other additional information that needs to be distributed. Appologies in advance. Also, our email records are not complete if you are in regular contact with someone that has not been getting information please forward to them. PLEASE NOTE! WE HAVE BEEN INFORMED AS OF 9/12/12 THAT THE ALUMNI FOUNDATION BABYSITTING SERVICES ON CAMPUS WILL NOT BE AUTHORIZED THIS YEAR. 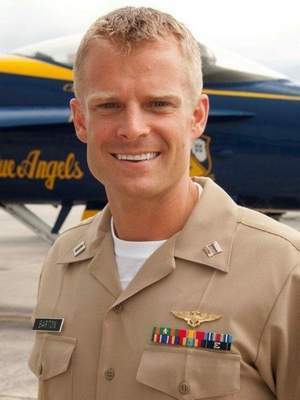 Congratulations to our our classmate Nate Barton for being selected to the Blue Angels! Continuing with our profiles of the class of 2002, Joseph Willis recently checked in. After graduation, I started sailing with AMO, as 3rd Assistant on the USNS Soderman. I broke her out of the yard in Nassco so I am an official plank owner on that ship. I sailed 3rd and 2nd Assistant on her for about 4 years. I then switched over to the commercial side of Maersk and worked on slow speed diesels for about 4 years doing the containership thing as 3rd and 2nd Assistant. April of 2009 I was offered my first 1st Assistant job on the USNS Watkins, back on the Gas Turbine LMSRs. Now I am the 1st Assistant on the USNS Watson, another Gas Turbine LMSR. I received my Chief Engineers License in 2010, but right now am totally satisfied as first assistant. It’s a great job. 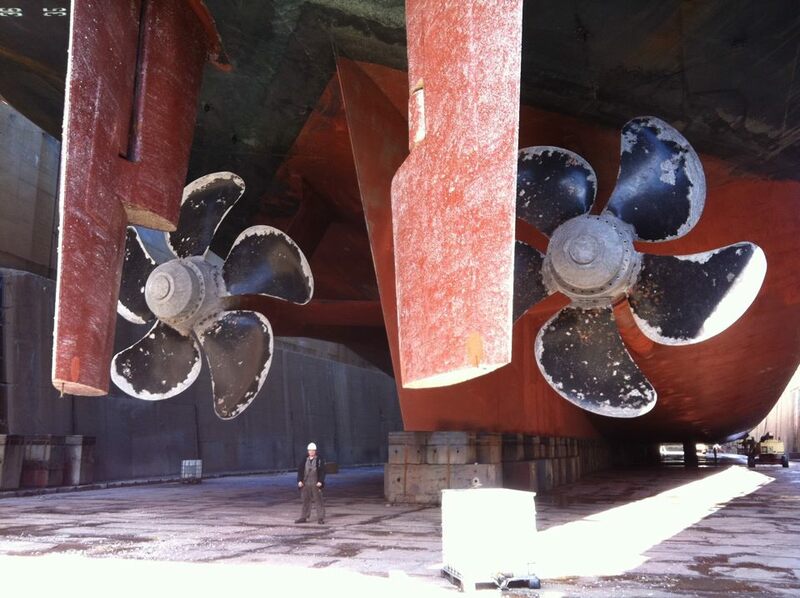 Right now we are in Drydock in Bayonne, NJ. At home, I married Stephanie in July 2004. 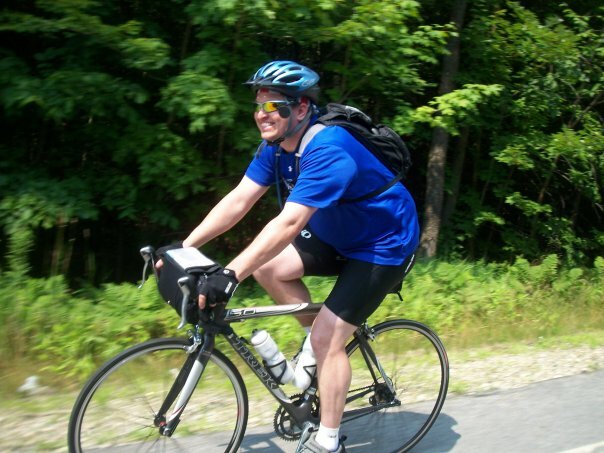 We are big into cycling and rode our bikes with a group from Bar Harbor, ME to Niagara Fallas, NY (932 mi). We will be riding around New Mexico when I get home in May approx 700 mi. 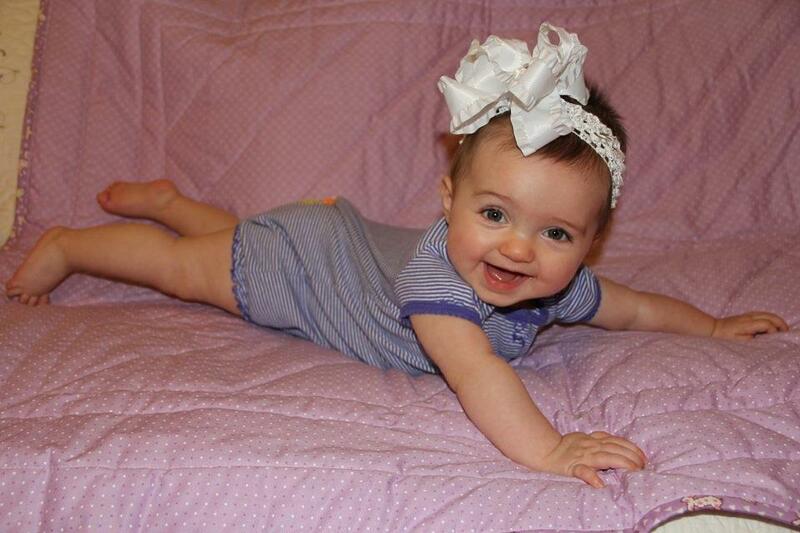 We welcomed our first child, Kathryn Scholten Willis on August 10, 2011. She is doing well starting to crawl around and starting to talk a little. Joe also got promoted to Lieutenant Commander in the Navy Reserve, and is hoping that if his ship is still stateside in September he’ll be able to make the trip to NY for Homecoming. We’d like to profile the entire class in the months leading up to the reunion, in order to give everyone a chance to see what we’ve all been up to. If your interested please send us an email letting us know what adventures you’ve been on, and where life has taken you over the past decade. or head to the Vessel Registry to provide us your contact information and we’ll reach out to you. Include some pictures or video. We look forward to hearing from all of you! For those that didn’t see the announcement on facebook or the alumni newsletter the other day we have some new information. For all those married at Kings Point Chapel, or those wishing you were married there, Here is your opportunity. The USMMA Alumni Foundation will be hosting an anniversary celebration and renewal of wedding vows. Fr. Dave Berlotti ’82 with Fr. Ron Camarda ’81 will celebrate the 1000 Catholic Mass followed by renewal of wedding vows. Protestant service and renewal will be at 1130 followed by a Jewish ceremony at 1300. Lunch will be provided in Wiley Hall, the drill team, members of the regimental band and bagpipers will perform, and the Chapel’s Golden Jubilee ceremony will follow. Grad’s and non-grads are welcome. 1400 – Entertainment by drill team, bag-piper, etc. Please RSVP to Lisa Donitz if you plan to renew your vows and attend the luncheon (lisa.donitz@alumni.usmma.edu or 516-773-5658). Make sure to let her know which Religious Service you would be interested in attending. You do not need to be a graduate to participate in the ceremonies.